Superdry men’s Trans Alp Ski Fuji jacket. Our iconic Fuji jacket with a twist, designed for our snow range this jacket is still packed with the warmth of our classic Fuji and is a snow holiday essential. Featuring zip fastening, three front zip pockets, reflective detailing and zipped cuffs for additional comfort. Inside, the jacket has a snow skirt to keep the snow out and you warm and internal pockets. 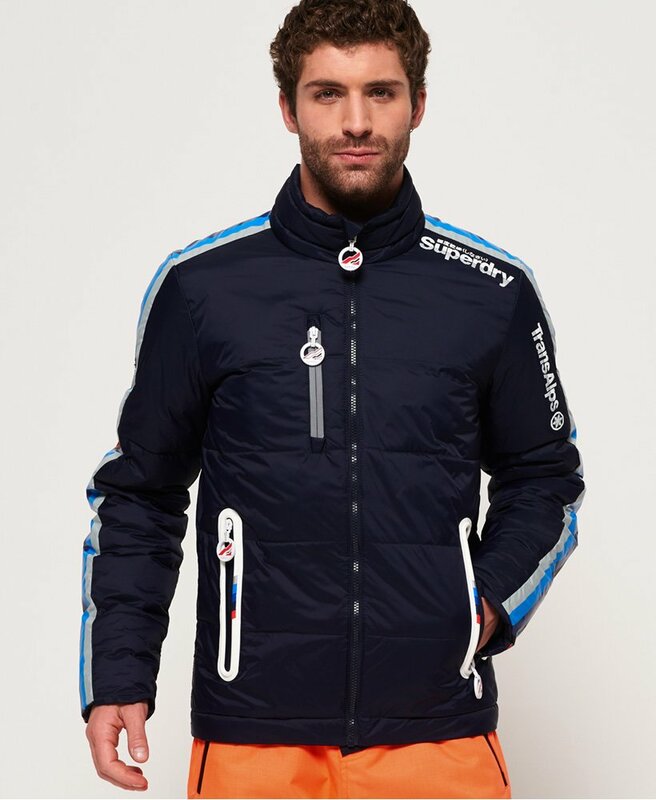 For finishing touches the jacket has stripe detailing along the shoulders and arms, a Superdry logos on the reverse and shoulder, along with rubber logo badge on one arm and logo zip pulls.